Your order will usually be despatched 1-3 working days from payment, most of the time we will endeavour to dispatch orders on the same day. Some items may need to be handmade in our workshop and although we will still aim to dispatch them within 3 working days it may take a little longer during busy periods. We will always keep you informed. Once we have sent your order we will send you a notification with any relevant information (tracking numbers, method of shipping, etc) Shipping methods that we use include Royal Mail and couriers, the method that we use will be at our discretion. International orders will usually be shipped via Royal Mail and will be delivered 5-7 days from shipping for most countries. Some countries may take longer.The Royal Mail service used will be at our discretion, if a tracked service is used we will inform you of the tracking information. We may also choose to use a courier service (eg. DHL). 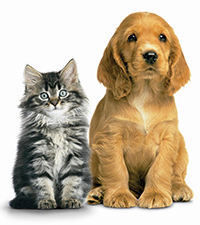 All shipments from BBD Pet Products are DDU (Delivered Duties Unpaid). This means if you order from our site for delivery outside the EU your order may be subject to import duties and taxes that are applied when your delivery reaches the destination. Please note that we have no control over these charges and we cannot predict their amount. You will be responsible for payment of any such import duties, taxes and admin fees incurred, therefore we recommend that you contact your local customs office for further information before placing your order. Wholesale customers ordering online are requested not to make any payment to us for your orders until we have confirmed the order and sent you an invoice with the appropriate shipping charges added. At this time we will also inform you of an estimated shipping date. You can choose to pay by BACS, Cheque or Paypal. You can cancel your order at anytime before it is dispatched by contacting us with your order number, we will then issue a full refund. During the first 28 days from receipt you can return your order, should you wish to return an order that has already been sent just contact us for returns information and once we have received and checked it we will issue a full refund. Please note that you will be responsible for return postage costs on any non-faulty return. In the unlikely event that your product is faulty please contact us. We will then arrange for you to return it to us and arrange a replacement or refund at our discretion. We will reimburse you postage costs if your return is due to a fault. Any return must be sent using the method of postage that we recommend at the time that you contact us. In the event a package is lost we will require Proof of Postage from your post office, you can get this from your post office when you send your item then just keep it safe until we have received your item at our workshop.